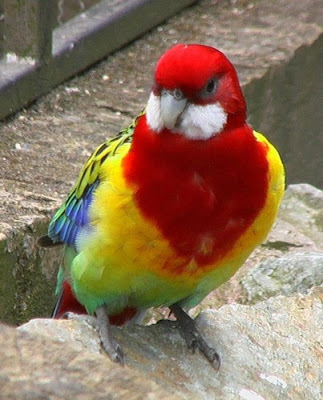 I think the feathered variety are lovely. Here are a couple of nice birds with some nuts. 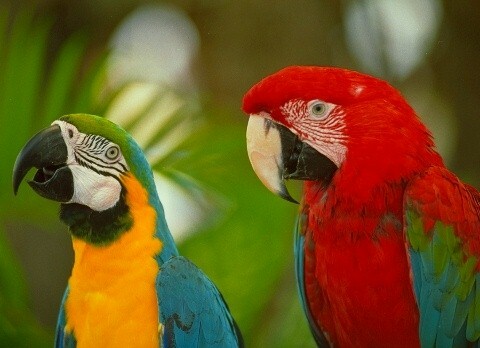 I reckon that macaws and parrots have some of the most beautiful colours that you can see on birds. Who would want to know about my CK's then?? If you must know Ice, my CK's are not that tight hun.....they hold everything in place very nicely thank you. Yes - lovely bird pic there. The green woodpecker's pretty as well. You don't see many of them now, but last summer we had a woodpecker in the garden. Oooh, I think I did tell all about my CK's didn't I Icey!!!! However, we've had a Great Spotted Woodpecker in our garden a few times this year!! Yes, it was one of those which we had imhotep. It's very rare to get them round these parts, so it was brilliant to sit and watch him. Well I also like looking at them, but I'm not one of those avid ornithologists who sits there with binoculars. Having said that, in the summer, we went to Carsington Waters in Derbyshire, where one of the children'd gone on a school trip, and they have an observance point where you can spy some of the rare ones which fly in. It was quite interesting. I tried to snap a shot off, but trees in the foreground threw off the autofocus, and I was unable to manually adjust the lens sufficiently to get a good shot. Cardinals and Blue Jays are fairly prolific in this area, along with the American Bald Eagles, which nest next to the Mississippi River here in the area. In the season, there have been many a good shot made of nesting Bald Eagles here, and cars line the roads in the area from the people trying to get a good shot or look.